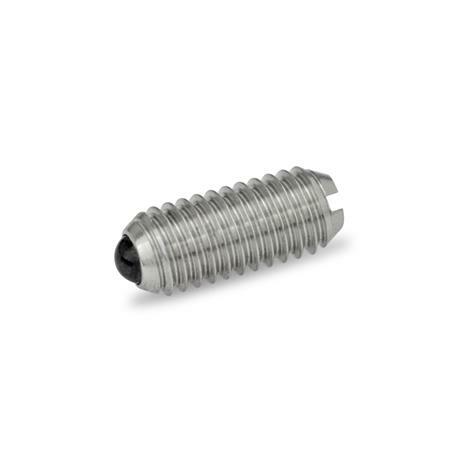 GN 615.5 stainless steel ball plungers are used for locking as well as for pressure and hold-off functions. Due to the selection of materials, the stainless steel ball plungers are suitable for use in highly corrosive environments. In addition the ceramic ball is low wearing, anti-magnetic and electrically insulating.